When are where can you find the new Rocky Road Oreos? 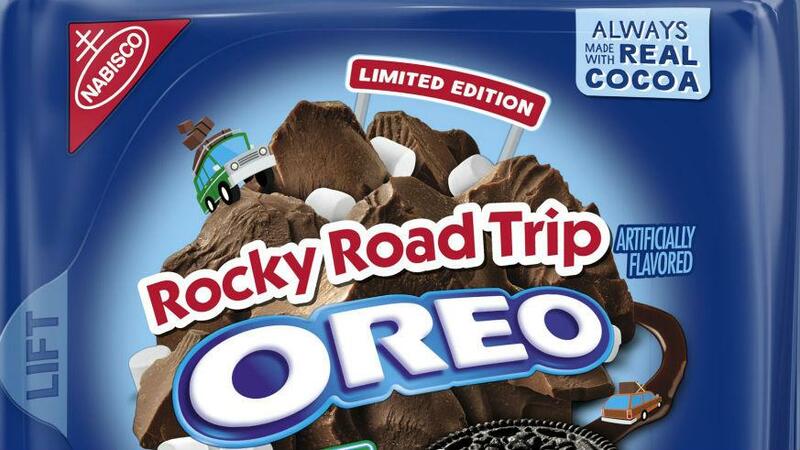 Oreo keeps up trippin’ over their new flavors, so it’s only fitting that the new Rocky Road Oreos are actually dubbed Rocky Road Trip. You’ve seen pictures of these new sweet sandwich cookies around the internet and Instagram, but when can you get your hands on a box of your very own? We break down everything you need to know before you can dunk one, from the Rocky Road Oreo release date to exactly where to find the packs. [post_ads]The new Rocky Road Oreos are part of a couple new releases from the cookie company looking to capture ice cream in another form. One of the other new Oreo flavors released this summer was their Good Humor Strawberry Shortcake, which channeled that nostalgic childhood treat you got from the ice cream truck. Despite seeing these tempting treats plastered all over your social media feed, you’ve yet to see them on store shelves. So, what’s the deal and when will they finally be available? Here’s what you need to know to score the ice cream-inspired indulgence. Maybe you’ve snagged a package of the Strawberry Shortcake Oreos already, but you’re keeping your eyes peeled for the Rocky Road Oreos specifically. Don’t strain them too hard hunting right now because these beauties don’t hit store shelves until Monday, July 23. Yes, you’re almost there, but no, you won’t find them anywhere quite yet. We can’t think of a more fitting day of the week to launch a new Oreo flavor, anyway. Just think: you have a rough day at work with the Monday blues and all those errands you have to run, but at the end there’s comfy couch, some slippers and Rocky Road Oreos infused with real bits of marshmallow waiting for you. You can banish your stress bite by bite. So that brings us to the question of where to get these coveted cookies. While you’re running those errands, you can throw a pack (or three or eight or twelve) in your cart at Walmart or Target. But if you’re hitting a local grocery store and don’t know if they’ll stock them, you can always check Amazon for the flavor as soon as it launches. The online retailer stocks plenty of the other speciality flavors of the cookies, so there’s a good chance you’ll catch them there and get them delivered right to your door. And you’re going to want to stock up. "I think Oreo hit it out of the park, honestly," food blogger and Instagrammer Junk Banter wrote, "offering some firsts with marshmallow bits in the cookie and soy nut inclusions to emulate those almonds." So once they hit shelves just scoop them all into your cart. You won’t regret it. 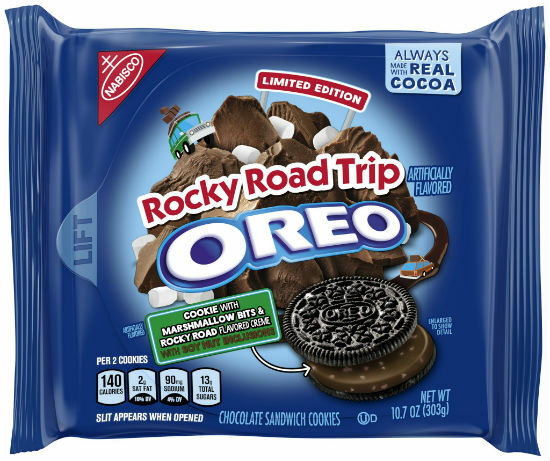 Lifestyle - U.S. Daily News: When are where can you find the new Rocky Road Oreos?